The Modern Baby Blanket - Cornwall Yarn Shop, Ltd.
Over the last several years the trend in baby knitting has shifted dramatically. Few and far between are the requests for light pinks and blues, but instead a variety of color palettes that have never been associated with baby knits before. None so much more than the new trend in baby blankets. Expectant parents and grandparents, friends and family have come in asking for colors to match nurseries that feature neutrals with an unexpected pop of color, or earthy colors and tweeds. I personally love this as it opens up the color spectrum and makes knitting a large rectangle or square much more interesting. I've collected baby blanket patterns that fit this new trend and I hope it lends some inspiration for the little ones to come and to the ones that are already here. Hudson Baby Crib Blanket by the purl bee. Classic, primary colors and easy garter stitch make this a quick, adorable crowd pleaser. I'm currently making a small sample for the shop in our new Cobasi Plus. A blend of cotton, bamboo, silk and elastic that is machine washable and super soft. Cobasi Plus comes in loads of colors and I suspect we will be a baby blanket (and garment) staple. 2. 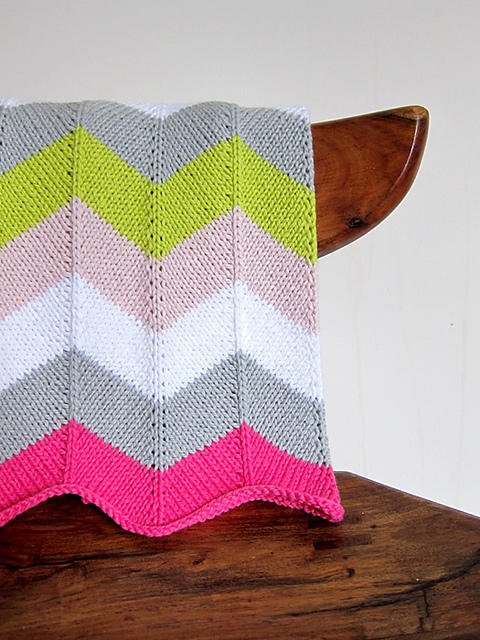 Chevron Baby Blanket, a free pattern with rebooted colors. 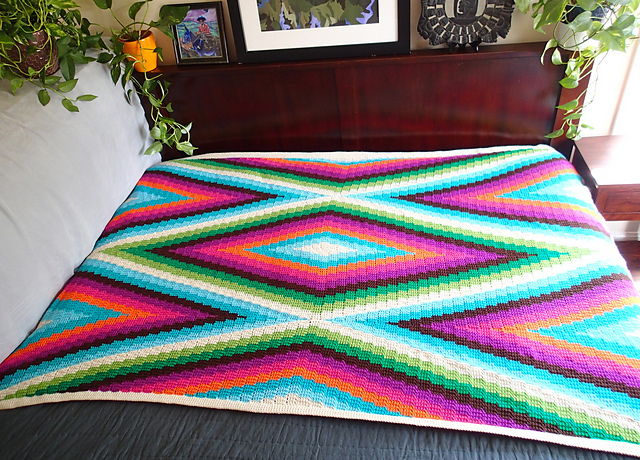 Another perfect blanket for the colors of Cobasi Plus! 3. Fly Away by tincanknits. The colors featured here are exciting, fresh and unisex, making this a great blanket to make when you don't know who will be showing up on their due date. 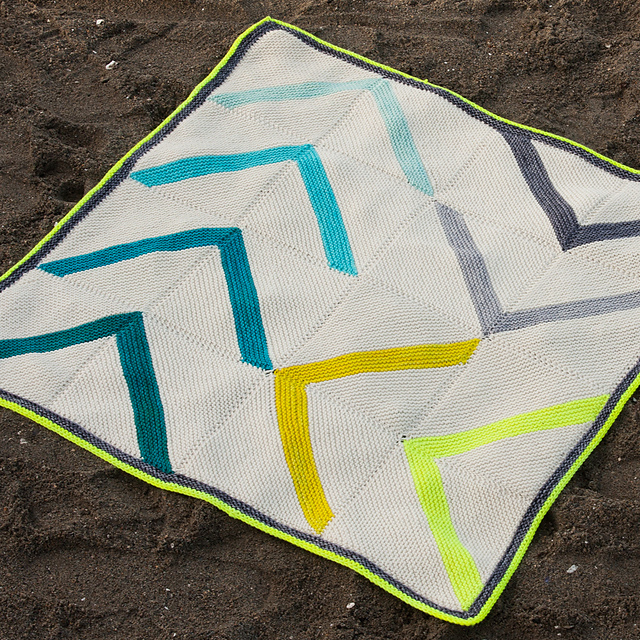 Obviously, you can choose whatever colors move you, but I think Tosh DK would be a perfect fit for this simple blanket, geometric blanket. From Tosh DK colors from left to right: worn denim, big sur, celadon, el greco, rainwater, citrus, chamomile, antler. This blanket could use a variety of worsted weight yarn, but Vintage by Berroco provides a substantial color palette while being machine washable and cost-effective. I love this blanket's combination of tweed with lace. 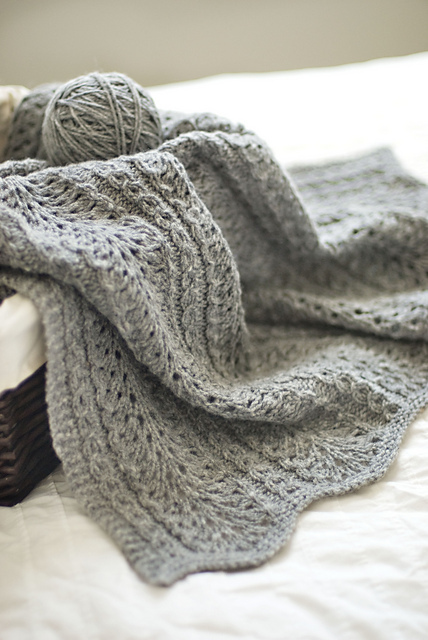 It blends rustic with traditional lace that updates a classic baby blanket by simply switching yarn. Remix by Berroco is my favorite tweed to grab for kids and rough tumbling adults as well. It is a non-wool blend of recycled materials that is machine washable and completely kid proof, so all the lovely lace work will stand up to the test of time.